With the same great features as the Blooming 1160, the re-engineered Blooming 1163 includes an On-Demand Instant Water Heating System for unlimited warm water & energy efficiency. 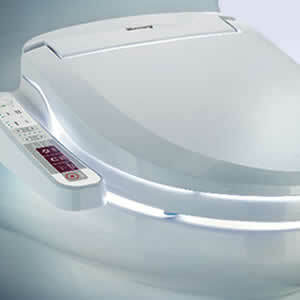 Blooming 1063 is a full featured bidet seat from one of the largest manufacturers. It’s sturdy & well-built with a side-control panel. Its unique blue night light illuminates automatically in the dark. Complete 3-year warranty covers 100% of parts and labor–the best warranty in the Bidet Seat industry. With the same great features as the Blooming 1060, the re-engineered Blooming 1063 now includes an On-Demand Instant Water Heating System for unlimited warm water & energy efficiency. 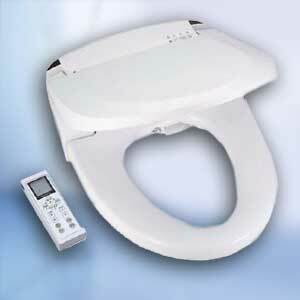 Blooming 1063 is a full featured bidet seat from one of the largest manufacturers. 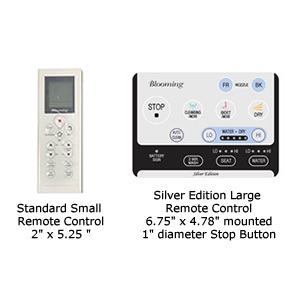 It’s sturdy & well-built and comes your choice of a compact remote control or larger Silver Edition remote control. Its unique blue night light illuminates automatically in the dark. Complete 3-year warranty covers 100% of parts and labor -– the best warranty in the Bidet Seat industry.